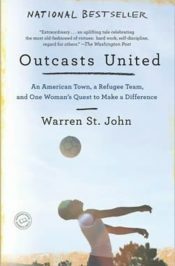 Outcasts United is the story of a refugee soccer team, a remarkable woman coach, and a small southern town turned upside down by the process of refugee resettlement. In the 1990’s, that town, Clarkson, Georgia, became a resettlement center for refugees from war zones in Liberia, Congo, Sudan, Iraq and Afghanistan. The town also became home to Luma Mufleh, an American-educated Jordanian woman who founded a youth soccer team to help keep Clarkson’s boys off the streets. These boys named themselves the Fugees—short for refugees. Outcasts United follows a pivotal season in the life of the Fugees, their families and their charismatic coach as they struggle to build new lives in fading town overwhelmed by change. Theirs is a story about resilience, the power of one person to make a difference and the daunting challenge of creating community in a place where people seem to have little in common. Learn more at Outcasts United Website. Learn more about the Fugees at FugeesFamily.com. Check out resources through the Dulaney-Browne Library. 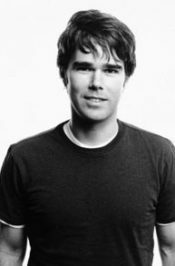 Warren St. John has written for the New York Observer, The New Yorker, Wired and Slate, in addition to his work as a reporter for The New York Times. His first book, Rammer Jammer Yellow Hammer: A Journey into the Heart of Fan Mania (2004), was named one of Sports Illustrated’s best books of the year, and ranked number one on The Chronicle of Higher Education's list of the best books ever written about collegiate athletics. His second book, Outcasts United: An American Town, A Refugee Team, and One Woman''s Quest to Make a Difference was published in the U.S. in April 2009, and subsequently in the U.K., The Netherlands, Germany, Italy, Japan and China. St. John was born in Birmingham, Alabama, where he attended The Altamont School. He studied English literature at Columbia College in New York City, where he now lives with his wife and daughter.